Renovation lessons might seem off topic at the moment. However, there are some great lessons here, and with stock markets falling, many people are going to turn to property. 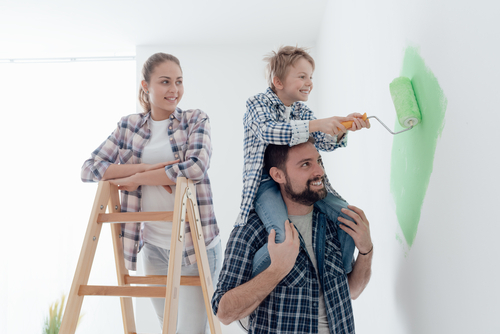 When you’re full of enthusiasm with a season of The Block under your belt, it may be tempting to plunge headlong into a property renovation without a solid plan. Bad idea. Rushing into a renovation and skipping important due diligence will cost you time, money and seriously escalate stress levels. Here’s what I learned during my real estate renovations and how to avoid some of the most common pitfalls. First things first; setting an honest, well-researched budget. Get multiple quotes and add an extra buffer; property renovations take a bit of guesswork so there are always additional costs. As a guide, add 10% – 20% on top of your budget after all quotes are received. A quantity surveyor can also help give you an accurate estimate on all aspects of the job if you want to be extra cautious. It’s tempting to whittle costs down by figuring you’ll do the work yourself, but you need to be realistic about what you’re actually capable of doing. I learned this the hard way! Put together an excel sheet outlining every detail of fittings, materials and furniture with cost, where it will be used and where it will be sourced. Include the cost of any tools you’ll need to hire or buy for DIY projects. Use this excel sheet to keep track of every purchase you make throughout the process, small costs can add up quickly and contribute to budget blow out. You want to know early if this is going to be a problem, so you can makes amendments. By beginning with the less expensive projects, you’ll be able to move forward without taking a massive bite out of your budget in the early stages. This allows you to reassess and possibly reallocate what you have left in the renovation kitty along the way depending on the progress. Forward planning is essential. Having a master plan gives you a clear picture of the overall project, creating cohesion and avoiding a piecemeal approach to the renovation. This is particularly important for open-plan – considering how one space should complement and work with the next. It will also help you create a realistic budget and project timeline. Here are a few tips on putting together your master plan. What are the characteristics your property needs to meet the market demand? What shouldn’t you include? Do you plan to sell it in the next few years or rent it out? Determining the purpose of the renovation will impact many other decisions. 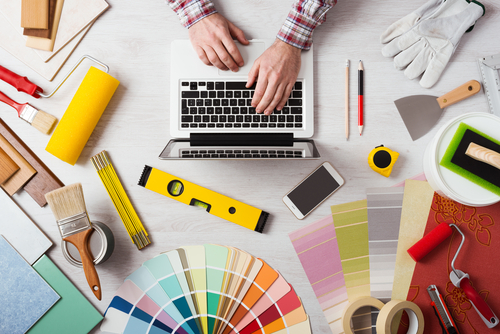 Are you planning to update one area of your property or going all in on a full renovation? Figure out the scope of the project by walking through each space and making a dream list of everything you’d like to remodel and what needs to be done. Updating electrical wiring, fixtures, and lighting for example. Now with your list of action items, you can begin to put a rough timeline in place for each room. Consider what jobs will need to be completed before another job can be started. This is a big on, especially if you are managing the project yourself. Getting the timing wrong can have a big impact on your tradespeople, and add lengthy delays. It’s easy to get fired up thinking you can tackle a job after a few episodes of The Block. However it may be more complicated than expected and require professional expertise. Take the time to really delve into what the project requires and if it’s worth doing it yourself. Some DIY-friendly jobs include painting, plastering, pulling up carpet, basic landscaping, minor demolition work and very basic carpentry work. Other work will definitely require pro’s experience behind it, more on that in a moment. Be sure to check with the correct department website for your state on any legal responsibilities or approvals required for your renovation. This is one for those in Australia. 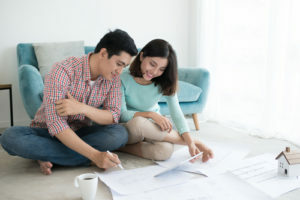 Although some home renovations and small building projects won’t need approval, you may need permission for others and requirements can vary from state to state. I can’t emphasise enough how important it is to be thorough when interviewing contractors and checking their references. Do all the necessary research and check online forums and reviews about the contractor you’re considering. The professionalism and attitude of your contractors can make or break a renovation. Once you’ve determined which space to start in it’s time to clear it out. Rather than crowd another room with all the stuff from the area you’re working on, consider hiring a temporary storage unit. This keeps everything out of the way and safe from any damage during the renovation. When it comes to the kitchen and bathroom areas, put some thought into how you’ll work your life around these crucial areas of the property while they are off limits. Maybe you have a second bathroom or a guest room that could be converted into a temporary kitchen space? DIY might be friendly on the wallet for some projects but other jobs are just not worth tackling at the risk of costly mistakes or your own safety. Plumbing and electrical work can be complicated, dangerous and expensive to correct errors, so there is significant value in hiring a licensed electrician and plumber. Roof repairs are another one to call in the experts for. It’s a job that can be complicated, really dangerous and a major mistake means calling in the professionals anyway. What’s your renovating advice? What have you learned? What would you never do again during a renovation? Previous Previous post: Falling Stock Markets, what now?